Use units to perform physics calculations in both SI and Imperial units. Compute with units the terminal velocity of a falling paratrooper by modeling the deceleration of velocity due to drag. Imagine that a paratrooper is dropped from an airplane. Assume there are only two forces acting on the paratrooper, the gravitational force and an opposing drag force from the parachute. Define the differential equation describing the balance of forces. Assume that the parachute opens immediately at t=0 so that the equation eq is valid for all values of t≥0. 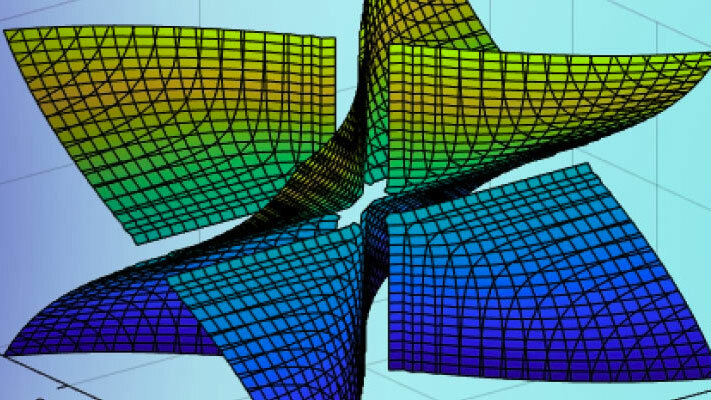 Solve the differential equation analytically using dsolve with the initial condition v(0)=0. Find the units of the drag constant cd in SI units. The units of Force are Newton (N) or expressed in SI base units are (kg⋅ms2). Since they are equivalent they have a unit conversion factor of 1. Since the drag force cdv(t)2 must have the same physical dimension in Newton (N)as the gravitational force mg, the physical dimension of cd can be solved for. 1 kg"kilogram - a physical unit of mass. "m"meter - a physical unit of length." Substitute these values into the velocity equation and simplify the result. -tanh(t 40 kg"kilogram - a physical unit of mass. "m"meter - a physical unit of length." 981100 m"meter - a physical unit of length. "s"second - a physical unit of time. "270 kg"kilogram - a physical unit of mass.") 70 kg"kilogram - a physical unit of mass." 981100 m"meter - a physical unit of length. "s"second - a physical unit of time. "240 kg"kilogram - a physical unit of mass. "m"meter - a physical unit of length." -3 763 tanh(3 763 t35 1s"second - a physical unit of time. ")20 m"meter - a physical unit of length. "s"second - a physical unit of time." Compute a numerical approximation to 3 significant digits. -4.14 tanh(2.37 t 1s"second - a physical unit of time.") m"meter - a physical unit of length. "s"second - a physical unit of time." 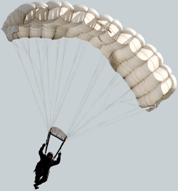 The paratrooper soon approaches a constant velocity when the gravitational force is balanced by the drag force. This is called terminal velocity and occurs when the drag force from the parachute is roughly equivalent to the gravitational force, and there is no further acceleration. Find the terminal velocity by using limit as t⟶∞. -4.14 m"meter - a physical unit of length. "s"second - a physical unit of time." 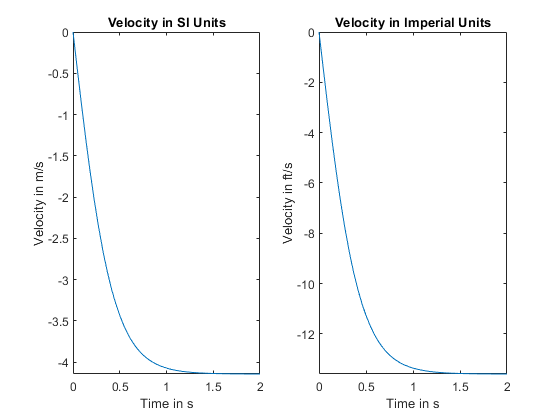 Finally, we rewrite the velocity function from SI units to Imperial units. -13.6 tanh(2.37 t 1s"second - a physical unit of time.") ft"foot - a physical unit of length. "s"second - a physical unit of time." -13.6 ft"foot - a physical unit of length. "s"second - a physical unit of time." To plot deceleration, we measure the time t in seconds and replace t by t = T s, where T is a dimensionless symbolic variable. -4.14 tanh(2.37 T) m"meter - a physical unit of length. "s"second - a physical unit of time." -13.6 tanh(2.37 T) ft"foot - a physical unit of length. "s"second - a physical unit of time." Separate the expression from the units by using separateUnits. Plot the expression using fplot. Convert the units to strings for use as plot labels using symunit2str . We see that the paratrooper's velocity approaches its steady state when t>1. Show how the velocity approaches terminal velocity by plotting the velocity over the range 0 ≤T ≤2. © 2016 The MathWorks, Inc.